DT 880 PRO Studio Reference Monitor Headset is a popular choice among professionals all over the world. Most users praise its ability to offer very impressive, natural, neutral & transparent sound as well as extremely detailed resolution. 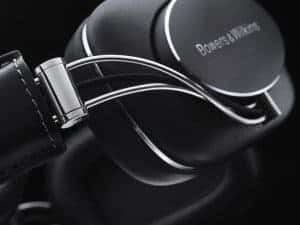 In this article, we take a look at everything that this reference-class, semi-open studio headphone has to offer, to help you make an informed purchase decision. DT-880-PRO is designed to provide users with all the benefits of both open, transparent headsets and more powerful, closed earphones, thanks to its semi-open construction. The design offers unique spaciousness, which ensures an excellent and wide stereo image. When tracking instruments, you’ll have just enough “air” space, and still have the isolation you need when using open headphones. DT 880 PRO’s sound is slightly more three dimensional compared to that of DT770 PRO, and can be described as neutral, relatively spacious, relaxed, deep but clean, and transparent. 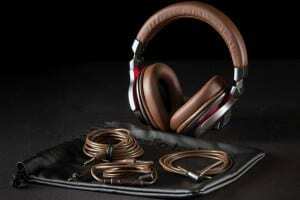 You’ll love the headset’s finely graduated tonal depth, which is excellent even at low volumes. 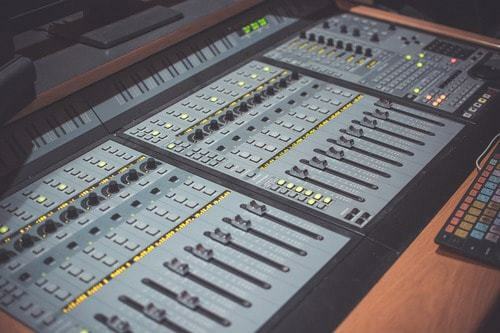 It reproduces soundtracks without changing their tonal color, allowing for optimum vocal positioning in mixing. This also helps ensure that every slightest nuance is distinguished. Neutral sound, wide stereo image and the extremely high resolution makes Beyerdynamic DT 880 a reliable reference headset for use in the studio. The headphones allow you to identify mixing errors immediately, and this makes it an ideal companion for mixing and mastering. Overall, the pair of Semi-Open Studio Reference Monitor Headphones is a reliable tool for sound enthusiasts and producers in the studio. The headphones reproduce an excellent 5Hz- 35Hz sound spectrum with clean & clear detail from the deepest bass to the highest highs. You’ll be impressed by the highs, which are crystal-clear without being unpleasant and impressive even at low levels. The neutral-balanced mids are also analytical and strong, without being predominant. Moreover, the bass is voluminous without being too obtrusive. These qualities of DT-880-PRO will definitely inspire you. DT 880 Pro Professional Studio Headphones features robust spring steel headband that ensures a comfortable & secure fit for the user. Also the adjustable, soft padded ear cups & headband provide added comfort, especially when wearing the headphones for extended periods. Moreover, the single-sided coiled cable, fitted with gold vaporized, 1/8” stereo jack & 1/4” adapter, allows the wearer to put the headsets ON and take it OFF frequently, without the cables getting in the way. The semi-open design ensures low attenuation of ambient noise. All parts are replaceable, thanks to the headphone’s robust, easy serviceable construction. The headset comes with a slightly tight, but comfortable fit, and will not move when in use. DT-880-PRO is offered at a reasonable price compared to other alternatives. The Pro Professional Studio Headphones are supplied in a nylon carrying case that keeps it safe from dust and dirt. Not detachable from its cable. The user and expert reviews available on the web shows that a high percentage of customers are happy with DT-880-PRO’s performance. 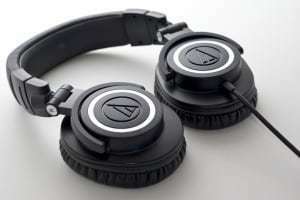 One of the users has shared his thoughts by outlining that the headphones are absolutely incredible. He likes the semi-open design, super tight, but not overpowering bass, as well as the headphone’s clear & balanced spectrum. Another customer has claimed that she’s never put on anything as comfortable as DT-880-PRO. She also says that it features a specially constructed housing as well as improved system equalization, which makes it perfect for monitoring while she records drums or amplified instruments. Negative reviews have mentioned the non-removable cable, and some customers have complained that they didn’t get the nylon carriage case. The New Beyerdynamic DT-880-PRO-250 is perfect for home and professional use. It can be an outstanding choice for anyone looking for headsets designed for extended listening sessions, general purpose stereo listening, and monitoring while recording drums or amplified instruments.